We've very proud of the approach to wedding photography that we've developed and continuously refined since launching Wallflower Photography in 2003. Our way of creating wedding photodocumentaries naturally and unobtrusively, while also being able to direct a high-level portrait shoot in the middle of all that, has generated so much positive feedback that national wedding resource website MyWedding.com has named us Best in State the past four years, based solely on our reviews. A short list of the biggest honors and awards we've won is available on our Brags page. Wedding photography is such a complex subject in ways both artistic and technical, and it's so dependent on the photographer's experience, training, personality and style. It's impossible to explain it all succinctly! In short, at a wedding, we're always on the lookout for special moments, both planned and unplanned. We're keeping a low-key presence (i.e. Wallflower Mode) for most of your wedding day. We're constantly thinking creatively, finding unique perspectives and clever angles. We're helping you into attractive poses at pre-designated times for portraiture. We're documenting your style and attention to detail in your wedding decor and attire. We're utilizing sophisticated off-camera lighting techniques to achieve the high-definition 'pop' that our images are known for. We're letting the unique features and personality of your wedding venue provides spice to our photos. And we're doing it all with genuine smiles on our faces and earnest happiness in our hearts, because it's a fun job — even though it's far more work than most people imagine! Do you want to read more? If so, just click to expose more information on the subjects below. Still, none of this will replace a good old-fashioned face-to-face meeting, or at the very least a phone call. Let's set one up soon, shall we? For most of a typical wedding, we're very unobtrusive. We're wallflowers, after all. We do our best to blend in with your guests and get them to forget about us. Everyone gets to have fun, be themselves, and get lost in your wedding's many moments without worrying about the camera. And we're very thorough about covering as many of those many moments, events, faces and details that make up a wedding as possible. We look at it as creating an artistic documentary of your wedding day. Because, look — your wedding day is going to go by in a blur. Just think how blurry those memories will be in 10, 20, 50 years! We know that whenever a precious moment occurs, the memory of it might someday be lost unless we capture it. So we work tirelessly to capture them all, and at a degree of artistry and technical competence that we can be proud of. The CANDID photo gallery on this website is where to find examples of our favorite photojournalistic wedding photos. The photojournalistic, documentary-creating description above doesn't completely fit our approach. For portions of your wedding day, we're also accomplished portrait artists. During these times, we interact with our subjects in a relaxed, friendly manner as we help them pose. We are great at finding great backdrops and great light, and adapting poses to make the most of them. We capture a surprisingly wide variety of portraits in a short amount of time. 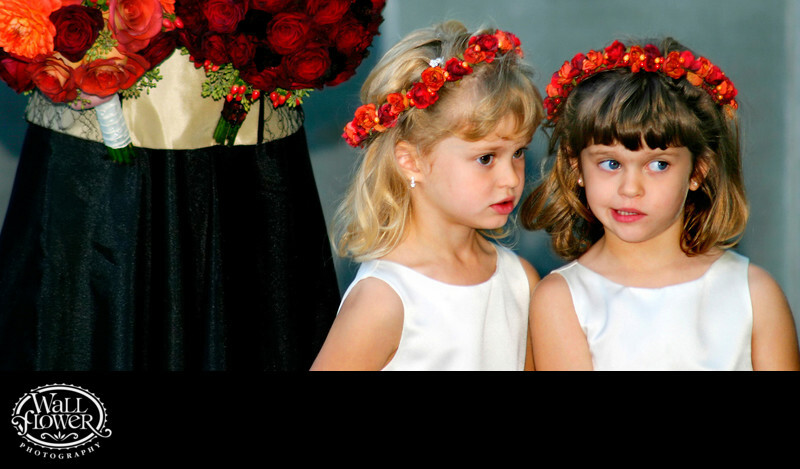 You'll find many of our favorite posed wedding photos in the PORTRAIT gallery on this website. Many of the photos there reflect our personal favorite types of portrait — ones that, maybe not surprisingly, have a more candid feel to them, even though they were posed (or were allowed to evolve from our pose). Let us assure you that, unless told otherwise, we do photograph traditional portraits as well as creative ones, with smiles and eye contact with the camera. But what we love are portraits that reveal couples who look truly happy and deeply in love, and aren't just putting on a fake smile for the camera. 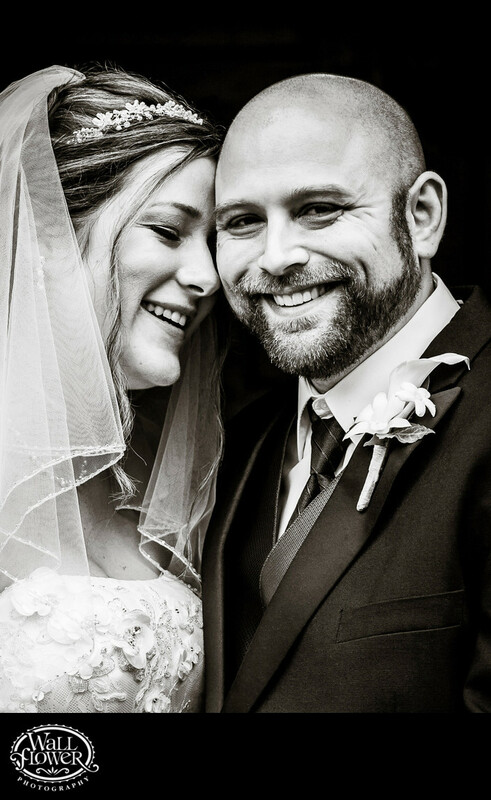 You'll see lots of genuine smiles, cuddling and occasionally kissing in our portraits, and in fact these moments are often candid within a posed setting, no doubt! Once the wedding is over, our work is just beginning. In this new era of digital photography, skill and time invested at the computer to enhance our photos is nearly as important as the photography itself! Photoshop is our friend, and our tool for creating better wedding photos — and, in fact, the Artistic Guild of the Wedding Photojournalist Association has ranked us among the top 100 photographers worldwide at blending candid, documentary-style wedding photography with complementary post-processing (Photoshop) work. Not to imply we've adopted the faddy Instagram look! We prefer our digital enhancements subtle, with vibrant color, crisp black and whites, and sharp details all around. We'll delight you with a little extra Photoshop magic on special photos here and there to transform them into mini-masterpieces, but we don't get carried away with the special effects. While our clients do receive digital files from us, we're about so much more than a disc, offering a HUGE variety of high-quality products. We've selected premium providers of heirloom-quality albums, and we can show you some ridiculously awesome ways of turning your photos into pieces of art that are fit for a gallery, but destined for your home.